Jesus is our teacher. We follow his curriculum. We do that by studying the gospels to learn to follow Jesus from Jesus himself. When we do that we see that prayer was an extremely important part of their (and our) walk. As with most things Jesus taught on prayer in two main ways: his example and his verbal instruction. This article will focus on Jesus’ example in prayer. Jesus went out early to a solitary place to pray. Pray first thing in the morning. God first. We learn that Jesus prayed “often” and in “solitary places.” Teaching his disciples that prayer is something to do regularly. Between feeding the 5000 and walking on the water Jesus leaves the crowds and then sends his disciples off in the boat so he can pray by himself on a mountainside. Why a mountainside? I imagine to find some alone space. Jesus didn’t just pray in the mornings. Here, Jesus prayed all night. Jesus prays in the garden before his arrest. This shows us the need to pray leading up to difficult circumstances. Jesus prays from the cross on two occasions. This shows us not only the need to pray leading up to difficulty but the need to pray during difficulty. 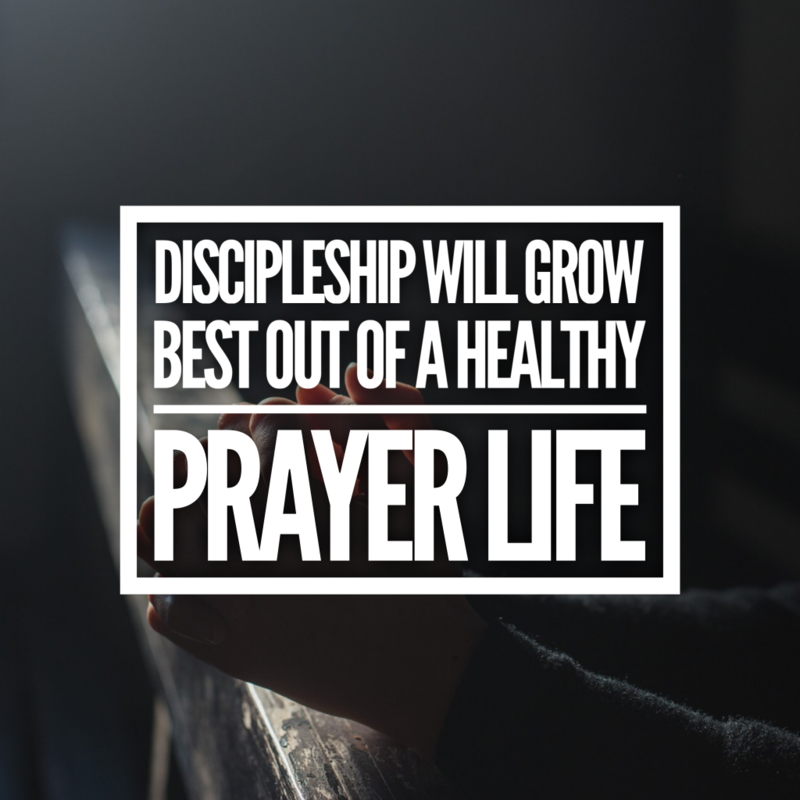 Jesus shows us that we need a regular habit or discipline of prayer. You see that in his morning prayer. You also see that in Judaism with their hours of prayer. Jesus would have most likely engaged in those daily prayers on set hours as an observant Jew. We need regular prayer discipline: In the morning, at meals, in the evening. We also need prayers that arise out of situations and circumstances. When things get tough, we pray. When good news comes our way, we pray. The only way to do this well is for God to be on our minds more consistently. If we don’t think of God in a relational way then we won’t think to talk to him about things as they arise. Let’s be in prayer regularly. This is a huge part of following Jesus. Pray that God will help you be a better disciple/follower. Pray that God will open your ears and heart and mind when you study the Bible daily. Prayer is going to be key to any discipling movement gaining traction. Please pray God will help this take hold in our congregations.